The differing terroirs of the Le Vigne gave a more backward and less evolved 2012 wine, with tight red and black fruits in the somewhat reticent nose, surrounded by leather, shades of truffle and nice minerality. In the mouth, the tannins are more pronounced in relation to its brother, with more black fruit character coming through at the mid-palate, accompanied by cola, licorice, balsamic and spice notes. There is excellent acidity, freshness and balanced power, but this will require 8-10 years of age to reach its drinking peak. The tannins are dry and long in the finish, with graphite and tobacco. A hint of oak lends this a spicy component, along with cherry, licorice and tar flavors. Racy and bright, with fine intensity and a long, tightly wound finish that seems to go on forever. Shows beautiful purity and class. Best from 2020 through 2036. Purity of fruit and balance here is very impressive. 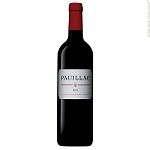 Firm and very silky tannins with a long, long finish that gives the wine amazing depth and intensity. Love the spicy and dense fruit character at the end of the palate. 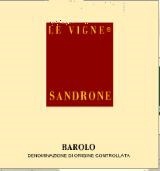 Sandrone selects fruit from four crus to make Le Vigne, blending a wine with flavors of macerated cherries and sweet vanilla, laden with notes of black spice, menthol and tobacco. The wine’s texture is smooth, its tannins having been polished during the two years it rested in 500-liter French oak barrels. Notes of lavender and orange zest brighten the darker fruit flavors as the wine evolves over several hours. The fruit and spice flavors linger vibrantly on the finish.